Shortly before invading the 70,000 Tons Of Metal Cruise, where they will perform two crushing live sets, diabolical death/black metal commando BELPHEGOR present a live clip of 'Baphomet'. 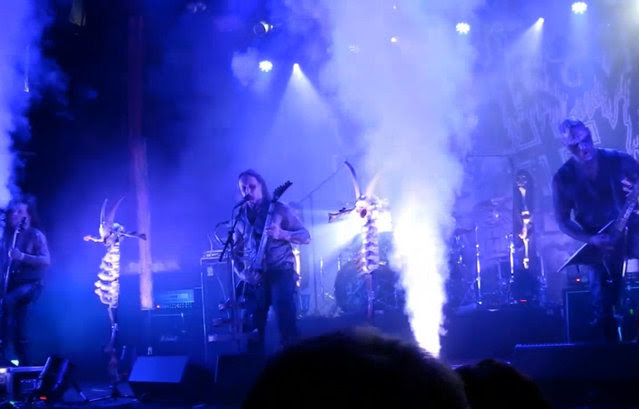 The song is the opening track of the band's latest offering Totenritual and was recorded during the live ritual at Saving Christmass Festival in Nörrköping, Sweden last December, by the band's friend and Norwegian shaman, Espen Dyngen. Catch the band on their worldwide Totenritual Crusade, which started in autumn last year and will cremate the following countries this year. More shows will be announced soon.